Surrounded by new $1M+ homes, this premium Cotswold location allows a incredible opportunity to expand or build your new custom home. 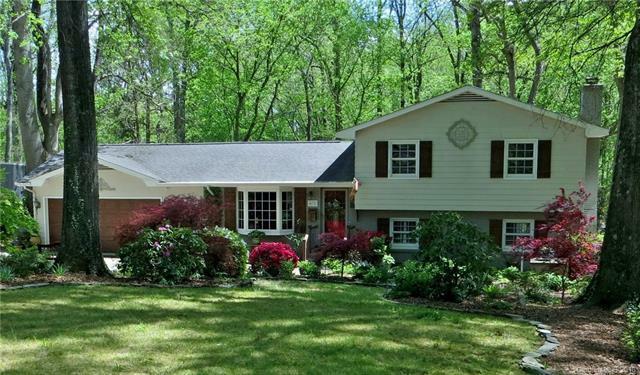 The home sets on a beautiful .62 acre lot w/ hardwood trees in a quiet neighborhood convenient to uptown, hospitals and shopping. Gorgeous views out the front, featuring several Japanese maples and established gardens. Sunroom in the rear overlooks the private backyard and creek (no houses behind you!). Granite countertops, hardwood and travertine floors throughout, and skylights in the kitchen and sunroom for lots of natural light. Oversized 2 car garage has room for a workshop. FREE well water for irrigation, car washing, etc. Best Charlotte schools. Can close quickly.